-submitted by Ramon’s Village - In the spring of 1987, Richard Headrick, purchased Ramon’s Reef Resort. Ramon Nuñez was already on site welcoming guests and running the hotel. Richard had plans to expand the hotel over the next several years and knew Ramon would need help. He also recognized right away that Ramon’s true gift was in dealing with the guests. So a bargain was struck. Ramon would remain as General Manager and his responsibility would be to hug the ladies and kiss the babies. Richard would find someone to work with Ramon and handle the daily operations. Well that was easier said than done. After several years and several attempts, Ramon’s niece Aida Nuñez came along. We thought she might be the one and then she decided to get married and move to the UK. At her recommendation an interview was arranged with a young man named Einer Gomez. 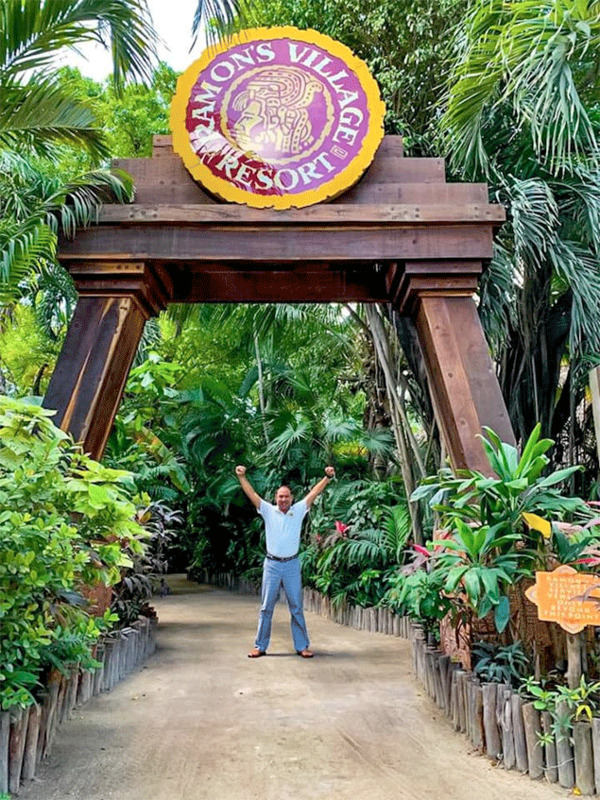 The interview went pretty well and it was agreed that Einer would become Ramon’s new assistant in charge of the everyday operations at what was now known as Ramon’s Village Resort. Not quite 30 years old, on March 12, 1994, Einer assumed his new position. Before long it was apparent that Einer had what it takes to run the hotel on a day to day basis. He continues to demonstrate that until this day. 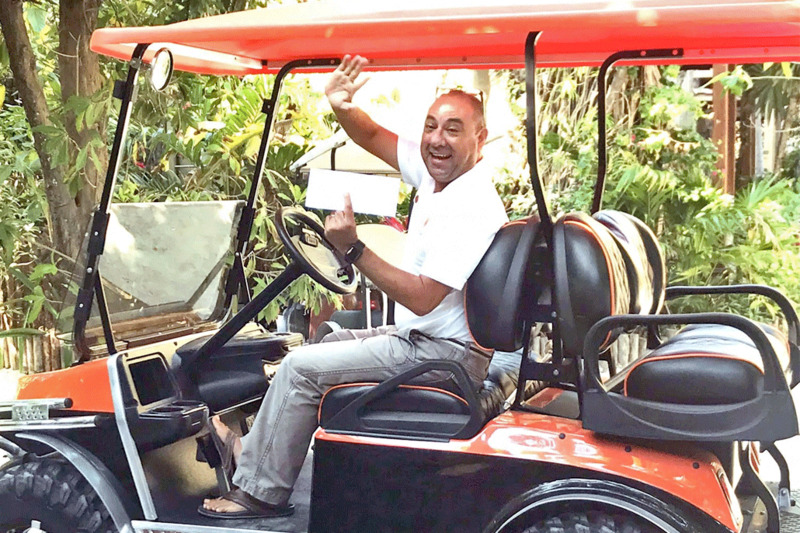 In addition to doing a great job at Ramon’s Village, Einer has also served as a member of the Belize Tourist Board for a number of years and as Chairman of the Board for the past several years. Upon Tio Ramon’s passing last June Einer assumed the position of General Manager and his staff have done a wonderful job continue what Ramon started so many years ago. Einer has a passion for family, Ramon’s Village and Belize, which shows in all he does. On behalf of Richard and Gina Headrick and all the staff at Ramon’s Village, thank you Einer for the job you have done.